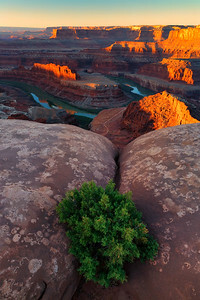 A Juniper tree grows out of crack in slickrock at Dead Horse Point State Park, Utah, USA. 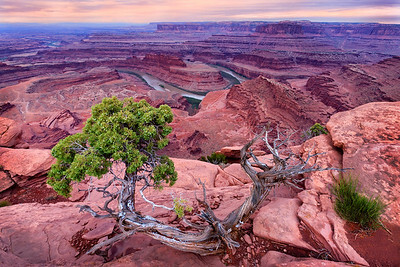 A juniper snag mimics the bend of the Colorado River under dawn light, Dead Horse Point State Park, Utah, USA. 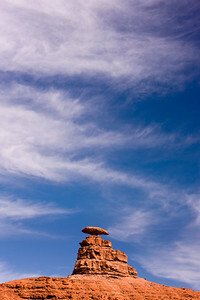 A butte shaped in the form of a Sombrero near Mexican Hat, Utah, USA. 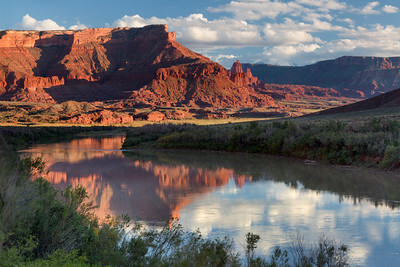 Fisher Tower reflection in Colorado River, near Moab, Utah, USA. Newspaper Rock is a petroglyph panel etched in sandstone thta records approximately 2,000 years of early man's activities. Prehistoric peoples, probably from the Archaic, Basketmaker, Fremont and Pueblo cultures, etched on the rock form B.C. time to A.D.1300. 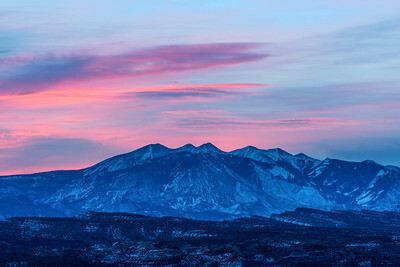 In historic times, Utah and Navajo tribesmen, as well as Angelos, left their contributions. 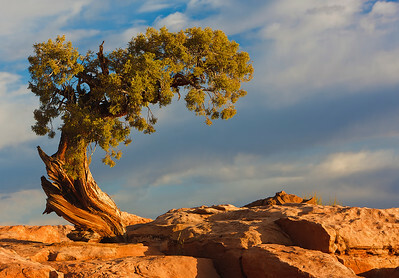 This National Historic Monument is located 25 miles northwest from Monticello, Utah, USA, along State Route 211, the access road to Canyonlands National Park Needles District. 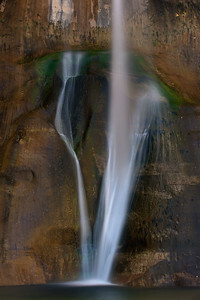 Algae-covered sandstone, Lower Calf Creek Fall, Escalante National Monument, Utah, USA. 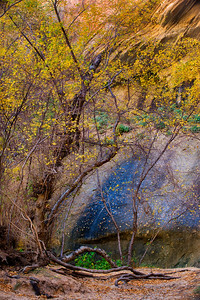 A birch in full fall color contrasts against red rock in Escalante National Monument, Utah, USA. 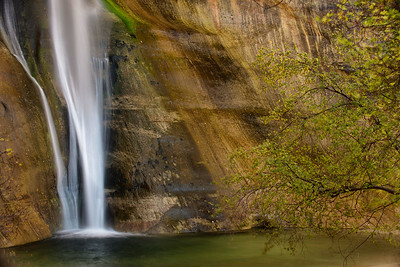 Lower Calf Creek Fall and pool, Escalante National Monument, Utah, USA. 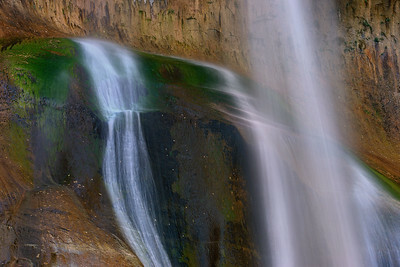 Lower Calf Creek Falls, Escalante National Monument, Utah, USA. 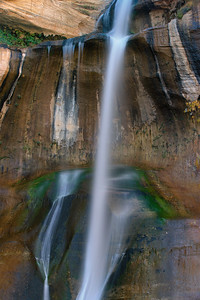 Upper Calf Creek Fal, Escalante National Monument, Utah, USA. 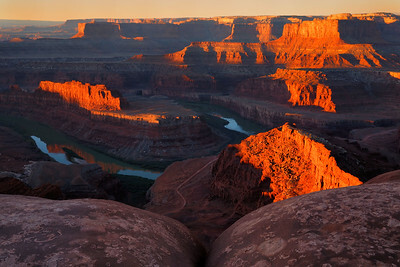 Sunrise skims the buttes and reflects into the Colorado River, Dead Horse Point State Park, Utah, USA. 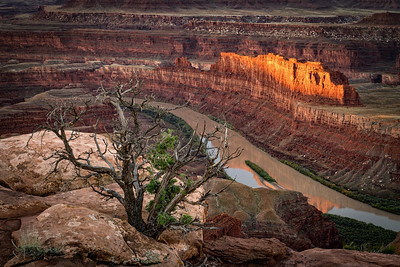 Sunrise light strikes a prominent butte above the Colorado River with a lone juniper tree at Dead Horse Point State Park, Utah, USA. 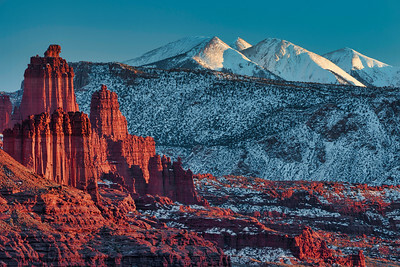 FIsher Towers and La Sal Mountains, Colroado River Scenic Canyon, near Moab, Utah, United States. 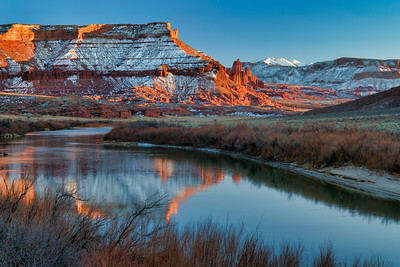 FIsher Towers and Colorado River, Upper Colroado River Scenic Byway, near Moab, Utah, United States.